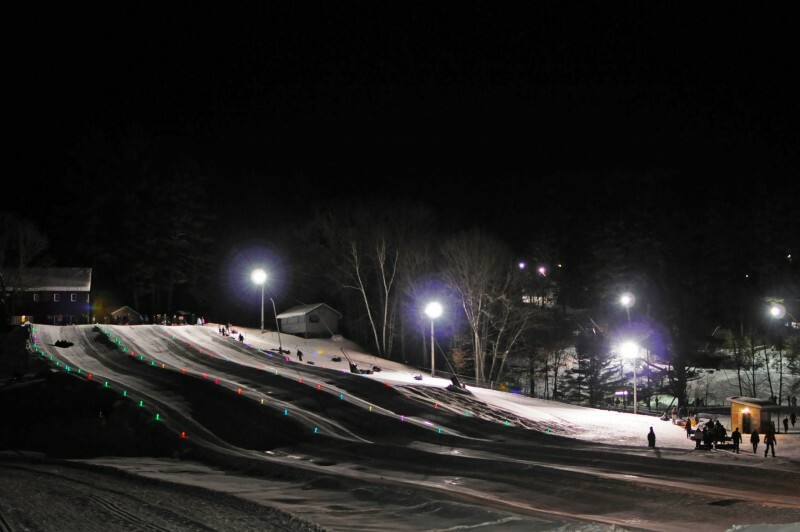 Experience the fun of lift-serviced day and night snowtubing down exciting snow chutes at our Pine Meadows Tubing Park! Download a tubing release form and bring it with you to save time. Tickets are just $19 per person Fridays, Saturdays, Sundays and holiday periods for each 2-hour session | $10 per person Tuesdays 5-7 p.m., Thursdays and Sundays from 4 - 6 p.m.* Tubes are provided by King Pine. One rider per tube. PLEASE NOTE: We strongly recommend reserving tubing tickets during holiday periods as these times are the most popular. *The $10 Tuesdays, Thursdays and Sundays per person is not available during Holiday Operating Hours or Sunday, February 17, Tuesday, February 19 and Thursday, February 21, 2019. Sunday 4-6 p.m. also not available on our final day of the season, Sunday, March 31, 2019. A $3 service fee is applied to all telephone ticket sales. 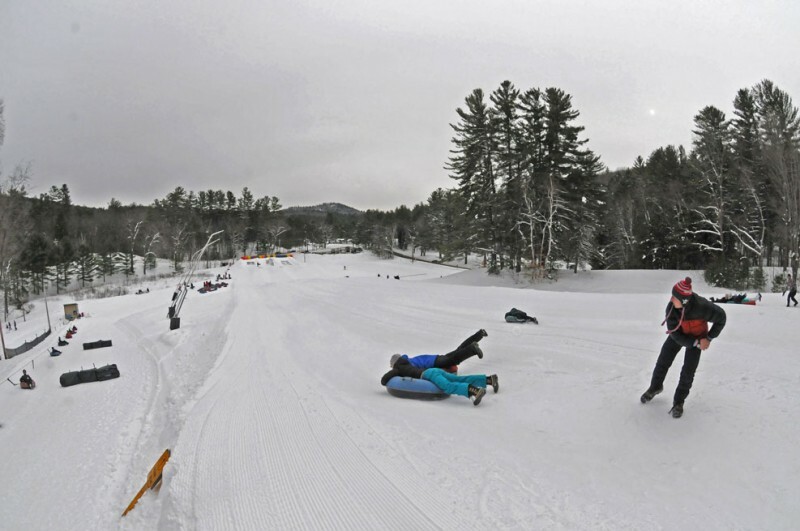 Pre-purchasing tickets is recommended, as tubing sessions do sell out regularly. Tubing tickets are non-refundable. 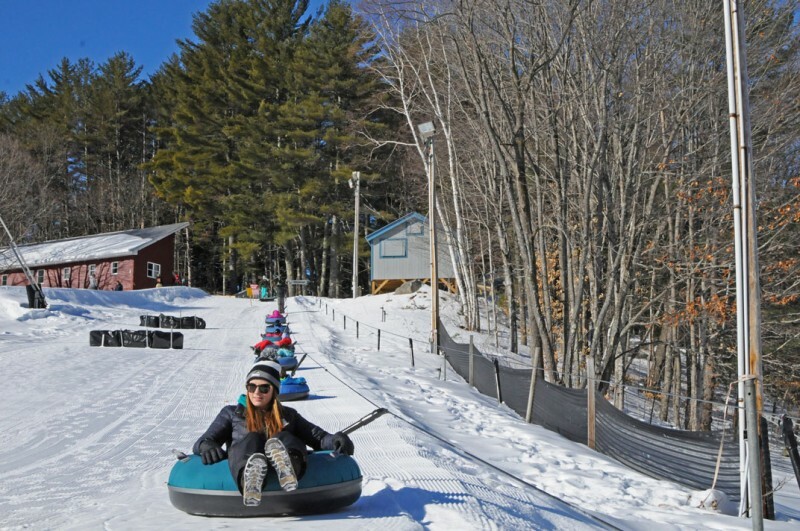 All participants, including children, are required to have a ticket and ride in their own tube (King Pine will supply tubes). All winter activity schedules are weather-dependent and subject to change without notice. 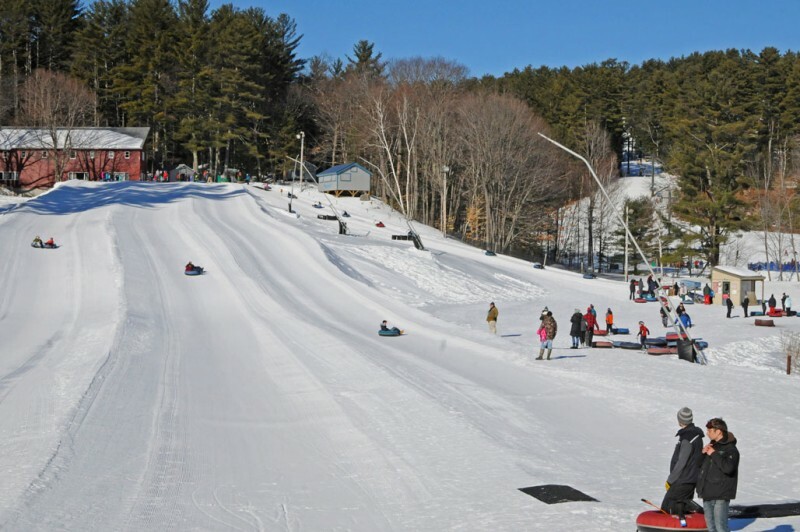 Note: snow tubing operation is weather-dependent and subject to change without notice. Please visit the Snow Conditions page for the latest information and schedule. Noon- 2 p.m., 2 - 4 p.m. PLEASE NOTE: We strongly recommend reserving tubing tickets during holiday periods as these times are the most popular.